I’m a little behind with this, but here’s the new set of free games for the month. As always the Xbox One games are yours to keep as long as you have an active Gold membership, while the 360 games remain yours even if you drop to Silver. Both 360 games are available on Xbox One through the Backwards Compatibility program. Kicking off the month for Xbox One is Assault Android Cactus. This is a fast paced Twin-stick shooter that gives you a time limit to complete your objective before your battery dies. Beginning on the 16th we will get Death Squared. It seems to be a puzzle game of guiding cubes through various hazards to reach your objective. It might be best to look into that one yourself. When you’re running on battery, make every second count! Assault Android Cactus is an arcade style twin stick shooter set in a vivid sci fi universe. Junior Constable Cactus is outside her pay grade when she responds to a distress call and ends up stranded on a crippled space freighter under attack by its own robot workers. Utilising a draining battery mechanic in place of lives, Assault Android Cactus challenges you to think fast and keep the bullets flying, blending the gameplay of western styled arena shooters with aspects of Japanese style bullet hell as you charge head first through transforming stages, massive boss battles and an eclectic cast of characters on the way to saving the day. Does anyone actually read these descriptions? They do? And there’s someone reading right now? Well, in that case: Death Squared is a cooperative puzzle game for 1, 2 or 4 players, best enjoyed with loved ones who don’t mind a little arguing for the greater good. Prove your teamwork skills in Death Squared as you solve puzzles together or die trying! Each player needs to guide a robot to a colour-coded goal, but the path is beset with deadly traps and hazards. Teams of players will need close observation and communication to keep each other alive and discover a solution together. Complete the main campaign in single player or with two players, then take a group into four-player Party Mode for the ultimate teamwork trial! For those that can’t get enough, head to the ‘Vault’ to find extra experiments recommended only for the brave. For the 360 the month has started off with Virtua Fighter 5 Final Showdown. A remastered fighting game title that came to the 360 arcade system back in 2012. And closing out the month will be Splinter Cell: Conviction. The third-person stealth, shooter series many people have enjoyed over the years. SPLINTER CELL – CONVICTION (Single Player) For years, Sam Fisher has been off the grid and on his own, chasing his daughter’s murderer. But the trail leads to the last place Sam wants to see again: Washington D.C. Now Sam must work with old friends he can no longer trust, forced to save a country he no longer serves. For unless he can stand against both a vast, faceless enemy and the shadows of the past, he’ll never know what happened to his daughter – or himself. 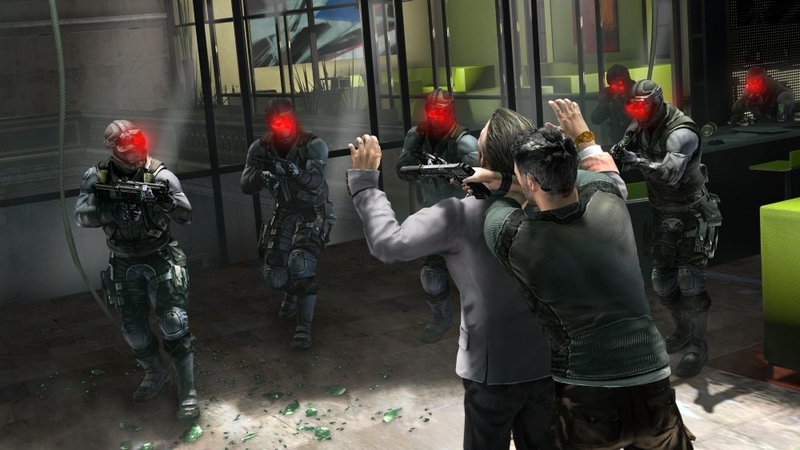 SPLINTER CELL – CONVICTION (Co-op) Russian weapons of mass destruction have been stolen and need to be recovered before they are sold on the black market. Third Echelon and their Russian counterpart Voron must work together to find them, sending American agent Archer and Russian agent Kestrel into the darkest heart of Russia’s criminal underworld. Together, they will embark on a mission that will require their cooperation and combined skill, one that will test their very conviction in everything they think they are.